This Basil Cento Rattan Look Bicycle Basket is a stylish choice of storage for cyclists and attaches easily to the rear of your bike. This eye-catching bicycle basket makes a fine addition to any ladies bike. The Basil Cento Rattan Look basket is made from a hard-wearing synthetic rattan that’s designed to withstand wear and tear while providing you with plenty of storage space for all your essentials. This basket features a classic aesthetic, while the durable nature ensures it’ll hold up well for an age to come, making it as practical as it is stylish. 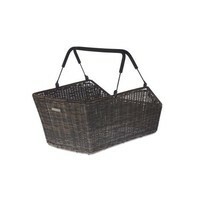 Ideal for when you’re leaving the store with a pile of groceries, this basket is also perfect for stowing away your odds and ends as you cycle into work, head to the gym, or venture out to meet with friends. Suitable for fixed mounting on your luggage rack, fitting is a breeze. A maximum carrying capacity of 5 kg also ensures it’ll manage larger loads with ease. Another key feature of this Basil bicycle basket is its waterproof exterior, ensuring it holds its integrity after countless journeys under stormy weather. If you’re looking for a quality bicycle basket in a classic colour, the Basil Cento Rattan Look is definitely the way to go, scoring highly on functionality, style and value. Curious about other models available from Basil? Browse our extensive online shop for more ideas and inspiration. 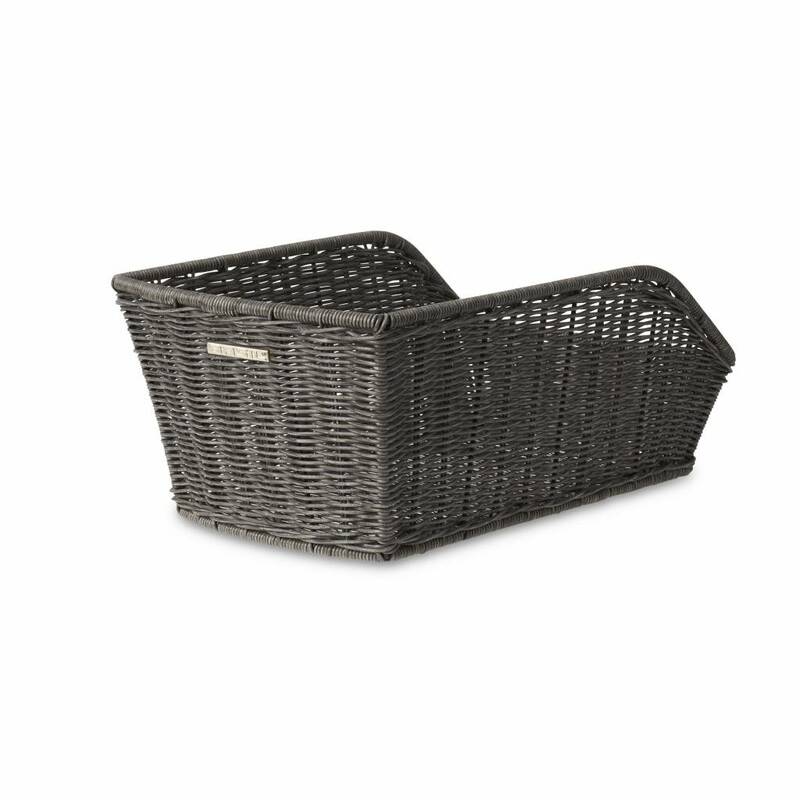 This plastic rattan bicycle basket comes in a natural gray colour.